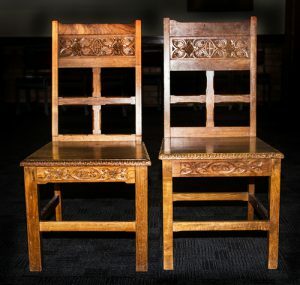 Two side chairs carved 1943, St Michael's Collegiate, Hobart . Who was Nellie Payne? These two blackwood side chairs are used for visitors to sit on when guests of the school for a special occasion such as assemblies.